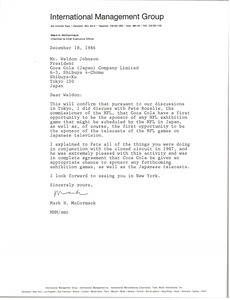 McCormack confirms that he discussed with Pete Rozelle, the commissioner of the NFL, that Coca Cola have the first opportunity to be the sponsor of any NFL exhibition game. 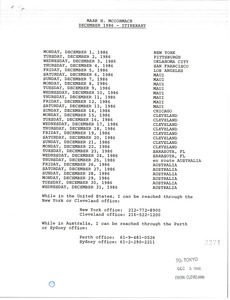 Mark H. McCormack's December 1986 travel itinerary. 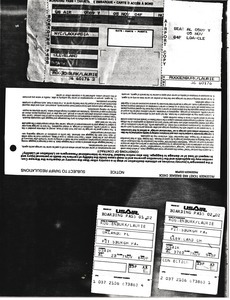 Photocopies of United States Air boarding passes. 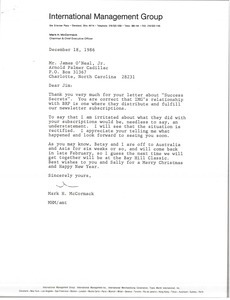 McCormack thanks O'Neal for his letter about Success Secrets and the subscription service. McCormack promises to have the situation rectified. 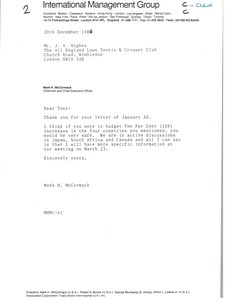 Concerning budgeting ten percent increases in the four countries that Hughes mentioned. 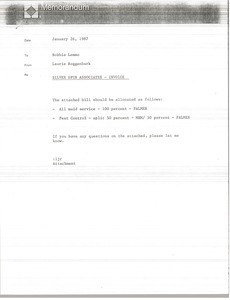 Concerning the allocation of the attached Silver Spur Associates bill. 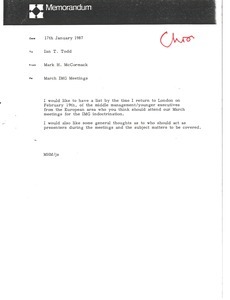 Concerning which middle management and younger executives should attend IMG's March meetings. 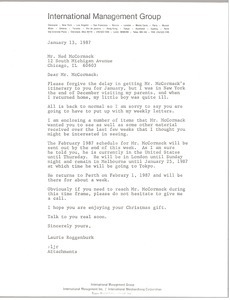 Roggenburk apologizes for the delay in forwarding McCormack's itinerary and jokes that he sill have to put up with her weekly letters. Forwards items that McCormack wanted to give Ned. Enclosure not with letter. 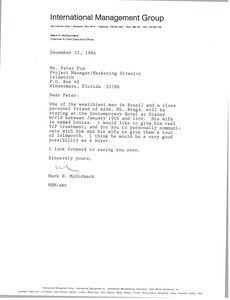 McCormack asks Fox to give Mr. Braga "VIP treatment" during his stay at the Contemporary Hotel at Disney World. 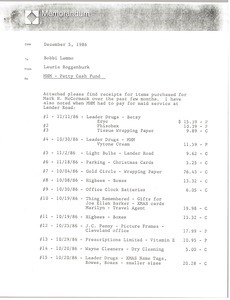 Roggenburk sends a list of items purchased from the petty cash fund.